The Bohr model is not applicable to the nucleus because, unlike the atom, the nucleus has no nucleus. 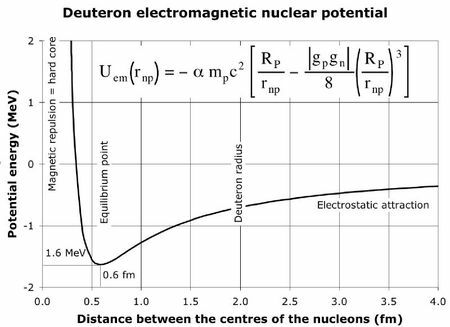 Let us consider the simplest bound nucleus, the deuteron. 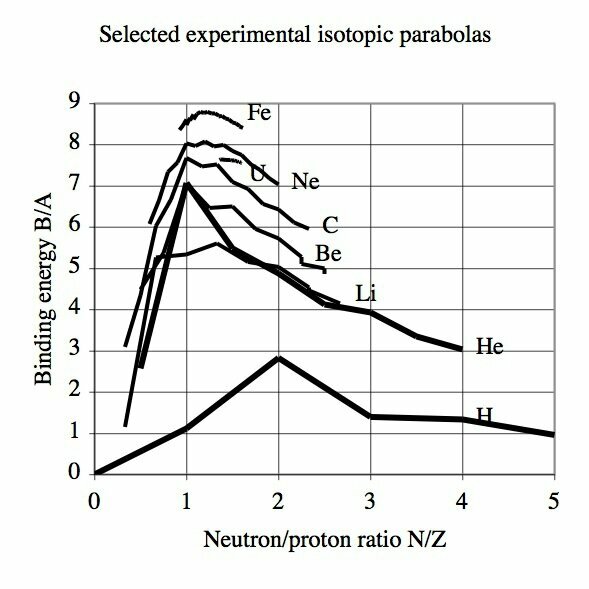 Although the neutron contains electric charges of no net charge, the neutron-proton attraction remains ignored in mainstream nuclear physics. This attractive force between the proton and the neutron is equilibrated by the magnetic repulsion between the proton and the neutron where the magnetic moments are opposite and collinear. It has been proved by the succesful calculation of the binding energies of 2H and 4He never obtained before from fundamental laws only. In contrast with all other nuclear calculations there is no fit in these calculations. 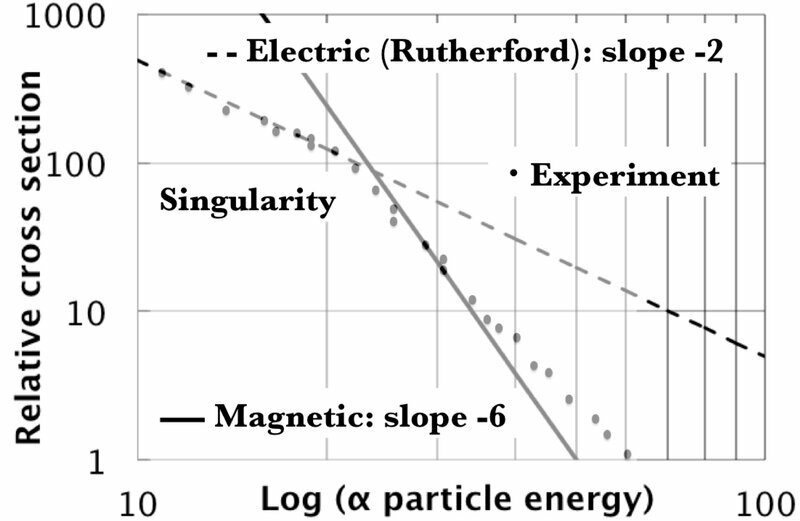 It is very simple when using log-log presentation: the classical electric Rutherford scattering becomes represented by a straight line of slope -2 for the first time. 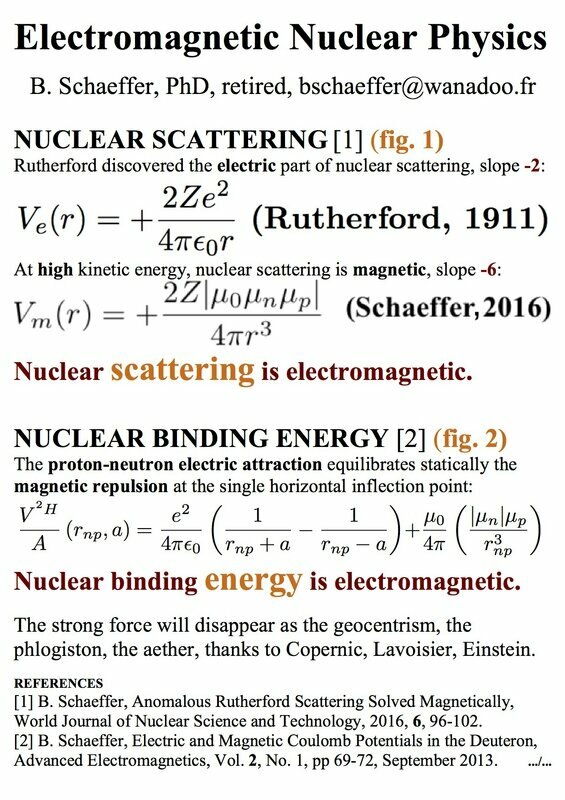 The not so "anomalous" scattering is magnetic and, approximately also a straight line with a slope of -6, thus 3 times that of the electric scattering. The explanation is very simple: the Coulomb electric potential is in 1/r and the Poisson magnetic potential is in 1/r³. After one century of nuclear physics, the fundamental laws of nuclear physics are ignored because the nuclear physicists ignore Coulombs laws except one, the repulsion between protons. Electric forces being unable to equilibrate the hypothetical centrifugal force, they imagined the "strong force" able to equilibrate the hypothetical centrifugal force mimicking the Bohr atom. Unfortunately, it does not work because the nucleons cannot orbit around nothing. 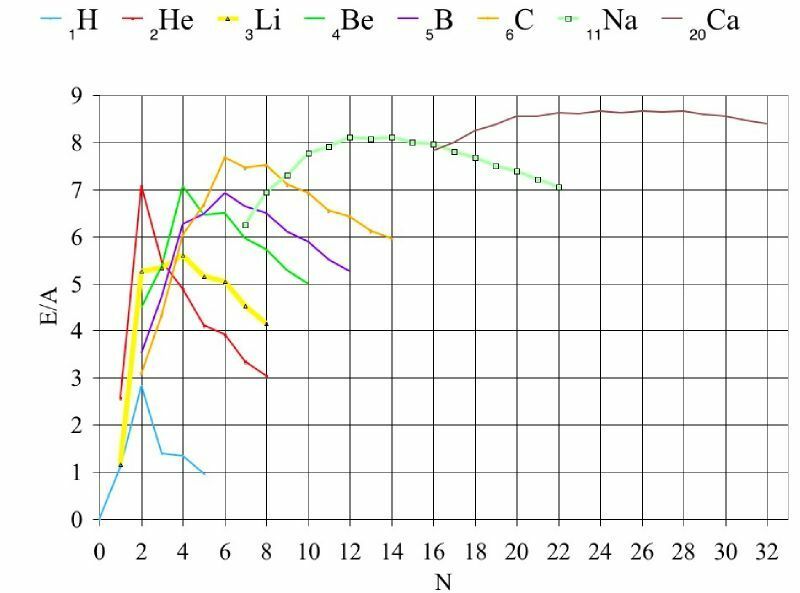 I have found that electric and magnetic Coulomb laws work fine provided that the nucleons don't move as shown in the simple cluster model (figure just below showing schematically hydrogen isotopes). The proton attracts a neutron as amber attracts neutral powder. The static equilibrium is obtained by the repulsive magnetic interaction between nucleons. 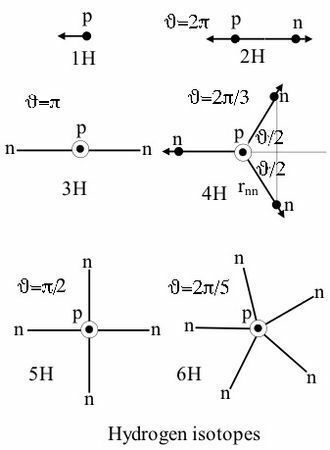 I have obtained good numerical results for the deuteron ²H and the α particle ⁴He. The strong force is pure imagination. Indeed a strong force is needed only because the shell model of the atom was used for its nucleus. The problem is that the nucleus has no nucleus which can act as a force center. The so-called "strong force" will disappear as the geocentrism, thanks to Copernic and Galileo, the phlogiston, thanks to Lavoisier, and the aether, thanks to Einstein. Same destiny for the new phisosophical stone, the Higgs boson. Bieler, a Rutherford student, imagined in 1924 a magnetic attraction equilibrating an electrostatic repulsion between the protons. This hypothesis did'nt work and electromagnetism was replaced by the hypothetical strong force being the same for protons, positively charged, and neutrons, still often assumed to be uncharged. This is incorrect. A neutron contains an equal amount of positive and negative charge inside.Protons and neutrons possess different magnetic moments. The strong force is assumed to be independent of the electric properties of the nucleons. 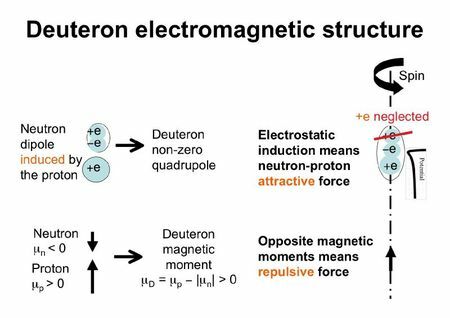 The only electromagnetic interaction recognized presently is the Coulomb repulsion between protons. 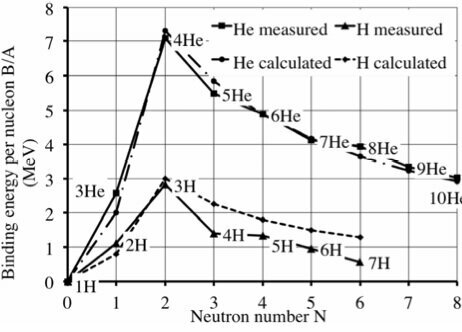 Evans, page 356 of his book "The Atomic nucleus", shows the experimental evidences that should be represented by a nuclear model. The so-called "strong force" (also referred to as the strong nuclear interaction, nuclear force) is the hypothetical force binding together the protons and the neutrons in an atomic nucleus. The word strong comes from the fact that the nuclear energy is around one million times greater than the chemical energy, for the same volume, dramatically demonstrated at Hiroshima. It is also known that the binding energy is around 1% of the mass energy mc². There are two well known fundamental forces in nature, the universal gravitation (formulated by Newton) and the electromagnetic force (formulated by Maxwell). It is fashionable to add two more hypothetical forces : the strong and weak nuclear forces. Very little is known about these hypothetical forces. f = (M - A)/A where M is the mass of the atom measured experimentally and A the atomic number. The main characteristic of the shell model is the so-called "magic numbers" (Z and/or N = 2, 8, 20, 28, 50, 82, 126) corresponding to the atomic levels. 1. The nucleus is like a droplet of incompressible matter, and all nuclei have the same density. 2. Forces between nucleons are considered to be spin-independent as well as charge-independent if the coulomb force is turned off. 3. These nuclear forces have a short-range character and are effective only between nearest neighbors. Each nucleon interacts with all its nearest neighbors. 4. The volume or exchange energy is proportional to to the number of nucleons A for A ≥ 16, giving a radius R0 A1/3, where R0 is a constant. 5. 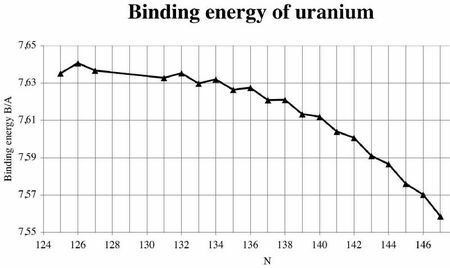 The surface energy is like the surface tension of a liquid due to the fact that nucleons at the surface have fewer near neighbors than nucleons that are deep within the nuclear volume. 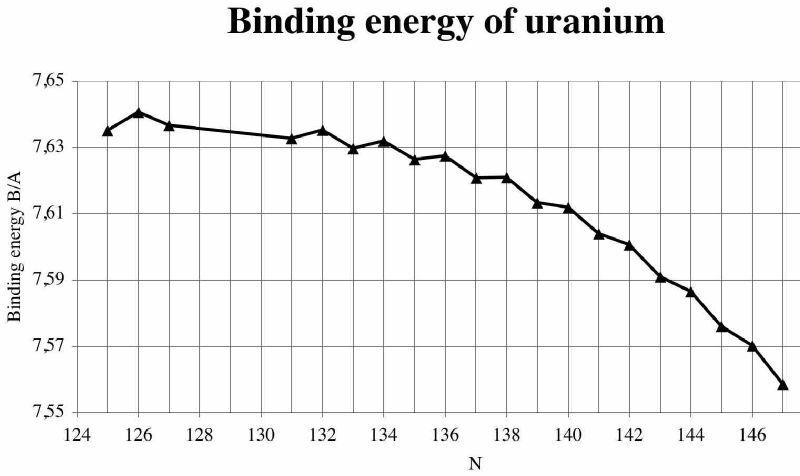 We can expect a deficit of binding energy for these surface nucleons. A simple calculation shows that the surface energy is proportional to A2/3. 6. The Coulomb repulsion energy between protons is the only known long-range force in nuclei. The total nuclear charge Ze is assumed to be spread approximately uniformly throughout the nuclear volume. Again assuming a constant-density nuclear radius R0 A 1/3 and applying the Coulomb law for the potential, the Coulomb energy is proportional to Z2/A1/3. 7. The asymmetry energy, the deficit in energy dependent on the neutron excess or deficit, is (N - Z)2/A = (A - 2Z)2/A. 8. The pairing energy δ is a correction to take into account the pairing of N and Z. 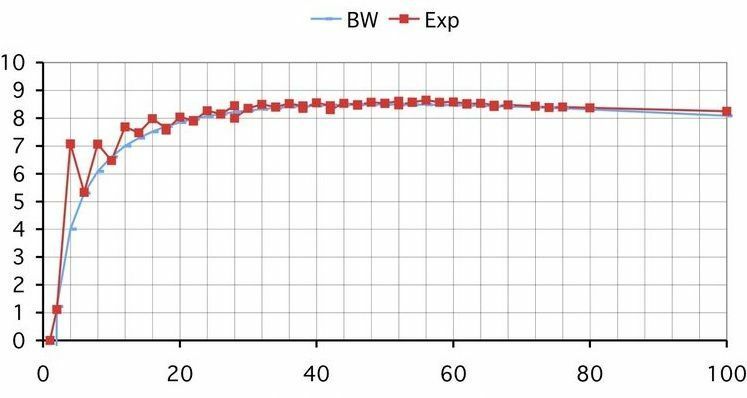 The following graph shows the Bethe-Weizsäcker curve (in blue), compared with the experimental data (in red) for the N = Z nuclei. The BW formula is unable to represent the binding energies of even Z and even N. There is also no distinction for same A nuclei with even N - odd Z and even Z - odd N (mirror nuclei). This type of models have been initiated by Gamow who observed that the nuclei with atomic masses multiple of 4 have larger binding energies. Indeed, it can be observed peaks of the binding energies for even A, Z and N. It is maximum for both N and Z even. The addition of an α-particle adds a tetrahedron to the structure already existing and so three bonds are alloted per addition. 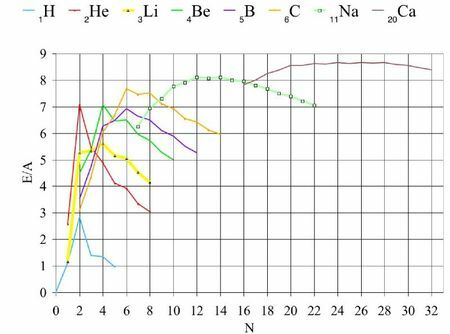 where the μ's are the magnetic moments of the nucleons and the magnetic permeability. rnp is the neutron-proton distance. The formula in the graph is the same as the previous one but with different universal constants. One may recognize the famous mc² formula for the mass energy. It is multiplied by the fine structure constant α = 1/137. RP is the proton Compton radius. gp and gn are the proton and neutron Landé factors. The electromagnetic theory of the nuclear energy shows that it is αmc² or 1/137 of the mass energy, known to be of the order of 1%. It is well known that the chemical energy is given by the Rydberg constant from the Bohr theory of the atom, ½α²mec² where me is the masses of the electron and α the fine structure constant. where mp and me is the mass of the proton. This formula, a consequence of the electromagnetic theory, explains for the first time why the nuclear energy is up to one million times more concentrated than the chemical energy, for the same volume. My presentation about the Strong_Force, explaining the whole thing, may be downloaded. 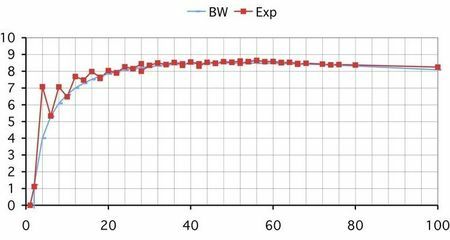 The two preceding calculated values are comparable with the one million and one per cent ratios evaluated from experimental binding energies.